The B vitamins play important roles in your body, and B-12 is no exception. B-12, which unlike other water-soluble vitamins can be stored in your liver, helps your body build red blood cells and keeps your neurological functions running smoothly. It also helps your body make new cells and activates another B vitamin, folate. Here’s what you need to know about this essential vitamin, and how to get more of it into your daily diet through foods high in B-12. The recommended vitamin B-12 intake for adults is 2.4 micrograms daily — but up to 15 percent of us are deficient. However, the trouble isn’t usually a lack of B-12 in our diet. “The standard American diet already includes high amounts of animal-based protein, making vitamin B-12 deficiency rare,” says Krista Haynes, R.D., C.S.S.D., and nutrition manager at Beachbody. “However, for some people, especially as you age, there are issues with B-12 absorption, which would require supplementation,” she adds. You need sufficient B-12 to maintain healthy energy levels. That’s where your red blood cells come in: Because B-12 helps produce the red blood cells that carry oxygen throughout your body, you need optimal levels to keep your energy up. A B-12 deficiency can lead to more serious issues, says Adrienne Youdim, M.D., a physician nutrition specialist in Beverly Hills, California. For example, researchers are studying the link between B-12 levels and brain health as we age. That’s one reason it’s important to know your B-12 levels and your daily intake. Before you decide on your own whether you need to take a B-12 supplement, be sure to get your levels checked. A blood test from your doctor can inform you of your B-12 (and other vitamin) levels. In addition, a methylmalonic acid test can help diagnose an early or mild vitamin B-12 deficiency, says Haynes. MMA is naturally produced in small amounts when you digest protein, but your body ramps up production when your B-12 levels drop. So, if your test results indicate high levels of MMA, it can identify mild and early shortages of B-12. A vegan (and sometimes a vegetarian) diet. Many of the best sources of B-12 are animal products, so if you’re vegetarian or vegan, you need to pay more attention to your intake. “Vegetarians can get enough B-12 from eggs and milk products,” Rizzo says. But, warns Haynes, vegans may have a hard time eating enough B-12 without consuming supplements or fortified foods. Certain medications. A few common medications, including those that help balance blood sugar levels and prescription antacids, can impact B-12 levels, says Dr. Youdim. Pernicious anemia. In order for B-12 to be absorbed, it needs to be combined with a protein in your gut called intrinsic factor. Those with pernicious anemia don’t make intrinsic factor, so they have trouble absorbing B-12. Age. The older you are, the higher your risk for a B-12 deficiency. As we age, our stomachs lack sufficient hydrochloric acid to absorb the B-12 that’s naturally found in food. Those 50 and over should aim to get most of their B-12 from fortified foods and dietary supplements, as their bodies can absorb those sources. Alcohol intake. Research also suggests regular alcohol consumption may also be linked to lower B-12 levels as you age. If you’re not getting enough B-12, you may want to consider a supplement, but do talk to your doctor first. “Supplements can be highly effective in providing B-12 in those who do not get it from food,” says Dr. Youdim. It’s also fairly easy to add more B-12 into your diet, especially if you’re an omnivore. What are the best sources of B-12? Most of them come from animal products, which is why not monitoring B-12 levels is one of the common mistakes vegans make. Shellfish, beef, fish, milk, eggs, yogurt, and chicken are the best sources for omnivores, while fortified cereals and nutritional yeast are the best sources of B-12 for vegans. Crab, mollusks (like oysters and mussels), and clams are all loaded with B-12. A 3-ounce serving of cooked clams, like in this healthy clam chowder recipe, will give you a whopping 84 mcg of B-12. The more, um, adventurous beef parts like liver and kidneys are highest in B-12. But if you can’t stomach those, no worries — even a basic quarter-pound beef patty has about 2.8 mcg of B-12. The original versions of Shakeology have 3 mcg of B-12 per serving, so your morning shake can help get you to your daily goal. Many cereals are fortified with B-12, which is an easy way to put a dent in your daily intake, especially if you don’t eat meat. A cup of Cheerios, for example, has 1.9 mcg of B-12. This list ranks fortified breakfast cereals by their added B-12 content. A cup of whole milk contains 1.1 mcg of B-12. Substitute fortified almond milk for an even bigger B-12 boost — a cup of fortified soy milk contains 2.62 mcg (be sure to choose unsweetened). Not all dairy-free milk alternatives are fortified, so check the label. 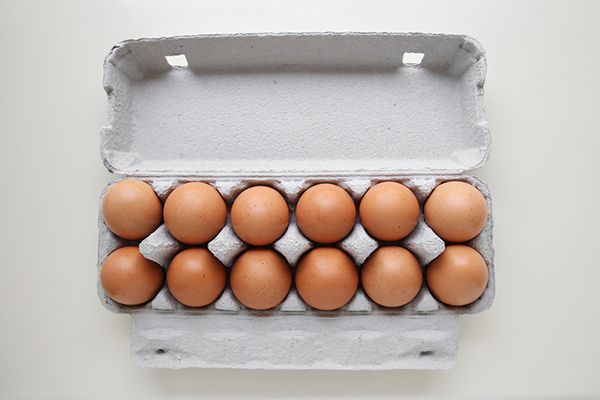 One large egg contains 0.46 mcg of B-12. Scramble up an egg for breakfast, eat one hard-boiled as a snack, or make one of these easy, protein-packed egg muffin recipes. The low-fat plain yogurt in this yogurt berry parfait recipe provides 0.95 mcg of B-12 per serving. B-12 is an essential vitamin that plays an important role in red blood cell formation, nervous system health, and the formation of new cells. It also helps keep your energy levels steady, among other bodily functions, so make sure you’re getting enough each day by including some of the foods we shared above in your diet. 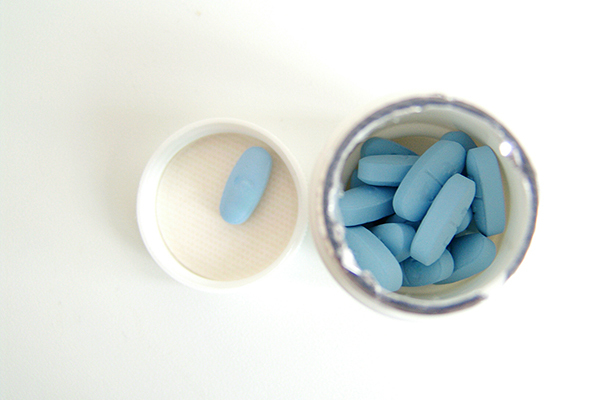 Before you take a supplement, talk to your doctor, and get your B-12 levels checked.